When you make an appointment to visit us at our clinic you are ensured of the most attentive personal attention and professional treatment. One of our skilled physiotherapists will be assigned to you and will carry out your personal physiotherapy treatment. They will ask you questions about your symptoms and any pain or discomfort that you may be experiencing. Once they have a full history, they will examine your muscles, joints and other tissues. Your privacy will be respected at all times and your physiotherapist will keep you informed as to what treatment they are carrying out. They will discuss any findings that they have with you and will involve you in any planning for future consultations. If you need us to come to you, no worries. The service will be exactly the same but instead of being examined and treated in our clinic, all procedures and discussions can take place in the comfort of your own home. Our mobile physiotherapy service is extremely popular with clients that require personal physiotherapy on their own premises. If you have mobility problems, a condition that makes it more difficult for you to leave the house or just prefer the confidentiality of our at-home service, we will accommodate your needs. 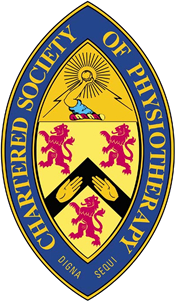 Our personal physiotherapy treatments are the same within clinic or at home so please feel free to select the service that most closely accommodates your needs. When you contact us to make an appointment, mention to the receptionist which option you would like and they will ensure that your personal physiotherapist is made aware of your choice. Contact us now to get your personal physiotherapy session booked at our clinic or at home.